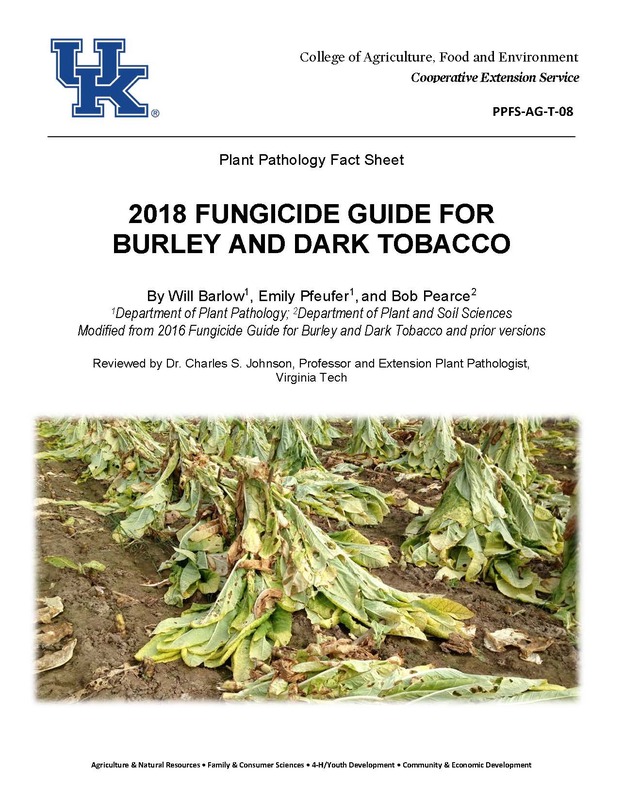 The 2018 Fungicide Guide for Burley and Dark Tobacco is now available. This guide lists the products labeled for managing tobacco diseases in Kentucky for both transplant float bed and field production. Included in tables, along with target diseases, are product names, rates, REI (restricted entry interval) information, and product label notes. A section on 2018 fungicide updates alerts growers to changes that have occurred since the previous guide. Fungicide Guide for Burley and Dark Tobacco (PPFS-AG-T-08) is available online. For additional publications on tobacco diseases, visit the UK Plant Pathology Extension Publications webpage.